​My youngest has always had sensitive skin from the moment she was born. It seems as soon as the weather turns in October, her skin becomes red, itchy and irritated and no matter how much over-the-counter cream I put on her body, it just doesn’t go away. I’ve even tried straight out of the bottle jojoba oil but that doesn’t work either. ​In worst cases, I’ve given her oatmeal baths, but as you can imagine, the cleanup from that is a nightmare unless you use something like this. 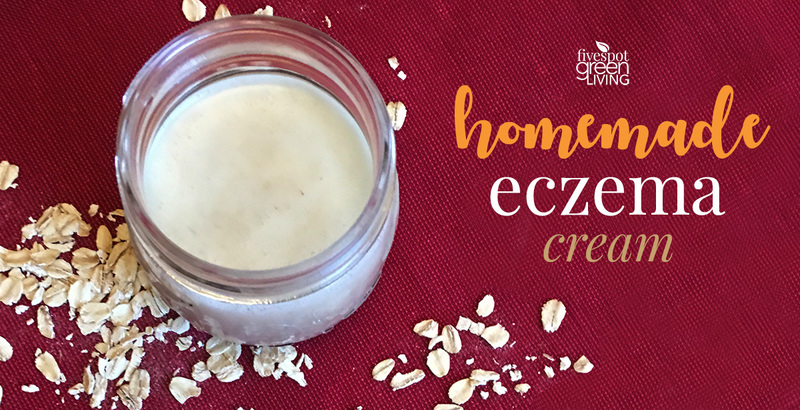 I love this homemade eczema cream because it’s so easy to make and actually works! I used to be putting creams and oils on my child twice a day and now she can go more than a day without putting more cream on. ​When my 5 year old starts having eczema flare-ups, I can always tell because she is itching. Sometimes she itches so much that she ends up bleeding. Poor thing! So you can imagine as a mother I would do all my research and find something to help comfort my child. There are several types of eczema: atopic dermatitis, contact dermatitis, dyshidrotic eczema, nummular eczema, seborrheic dermatitis and stasis dermatitis. 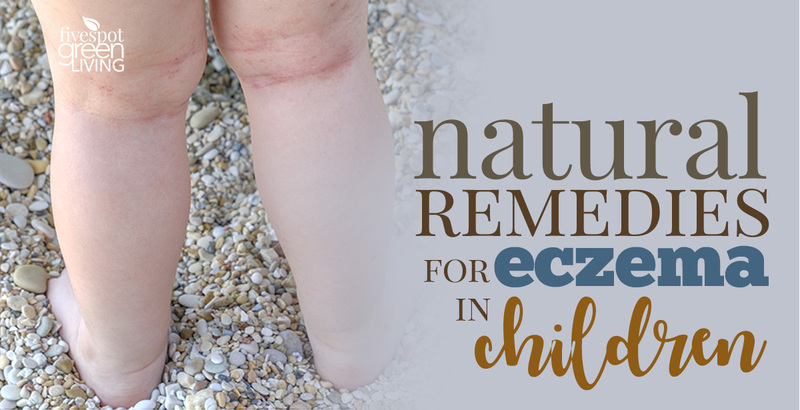 It’s most common for babies and children to develop eczema on their face (especially the cheeks and chin), but it can appear anywhere on the body and symptoms may be different from one child to the next. Having eczema means your immune system is working too hard. Your immune system normally protects you from things like infections and diseases and for some reason, when you have eczema, your immune system goes haywire. That makes your skin get all itchy and rashy. Avoiding the triggers of itching should be the first priority for people and kids with eczema. Clothing that can irritate the skin, such as wool, nylon, and other synthetic material should be avoided. Only cotton clothing should be worn and washed with a mild detergent and a double-rinse cycle. Don’t use fabric softeners! Always use all natural products on clothing and in the bath. According to the National Eczema Association, Eczema is usually itchy. For many people, the itch is usually only mild, or moderate. But in some cases it can become much worse and you might develop extremely inflamed skin. 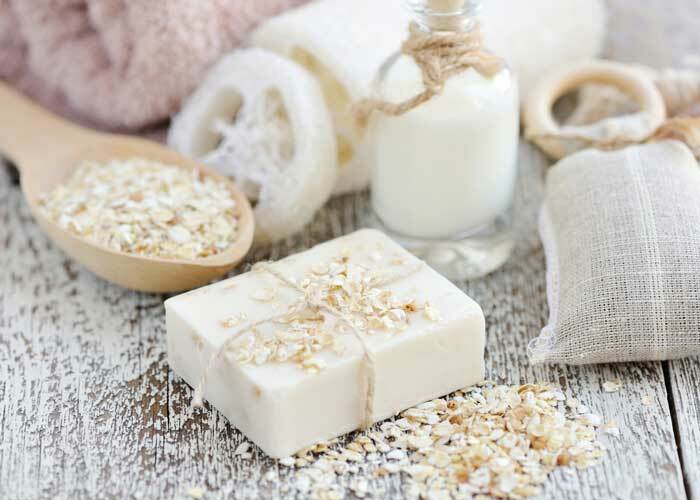 What is in this homemade eczema lotion? 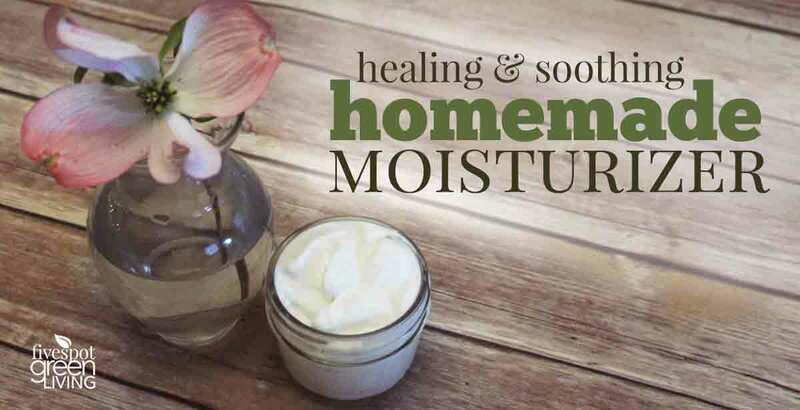 DIY homemade eczema cream is so crazy easy. 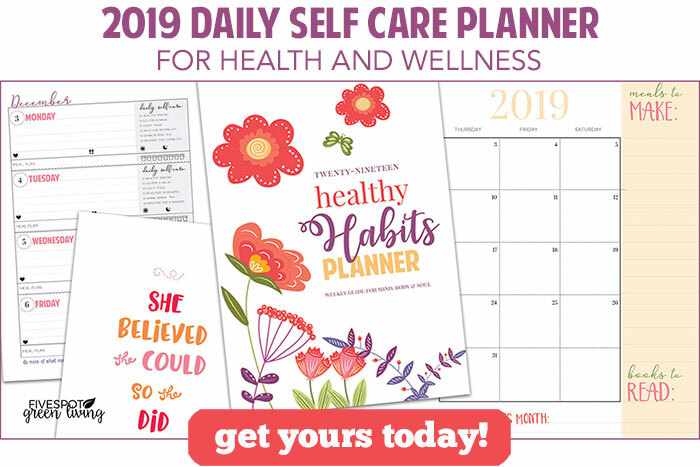 You just need some oats, coconut oil, lavender oil (preferred but could use another oil like rosemary), and olive oil. That’s it! 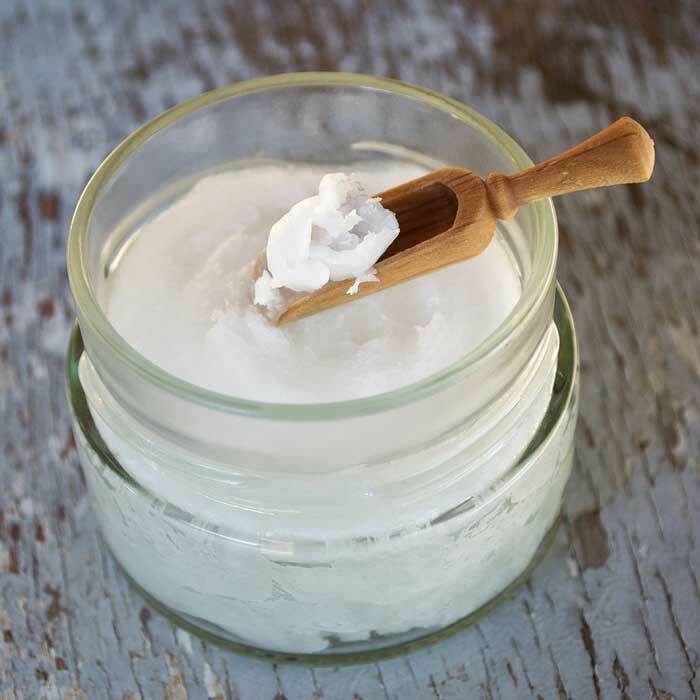 Coconut oil has so many anti-viral, antibacterial, anti-microbial, and anti-fungal properties it’s often found in beauty and personal care recipes. It can help soothe your skin when it’s itchy during a flare-up, and can also help reduce the inflammation. A 2014 study shows that applying virgin coconut oil to the skin for 8 weeks may improve skin hydration in children with eczema. Lavender essential oil helps heal the red, dry skin associated with eczema by reducing the inflammation. 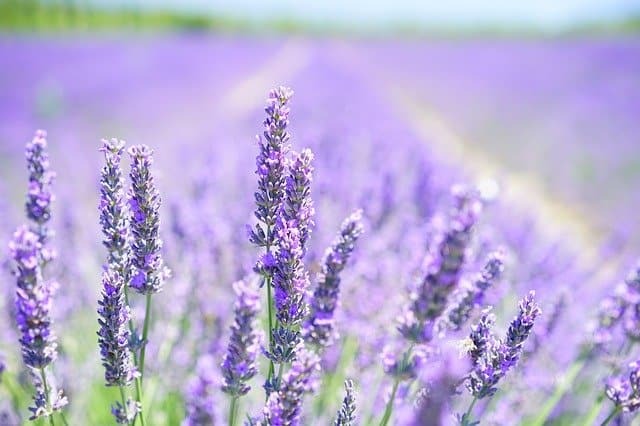 Lavender oil is extremely soothing for skin conditions that involve rashes, itching, inflammation and dryness. 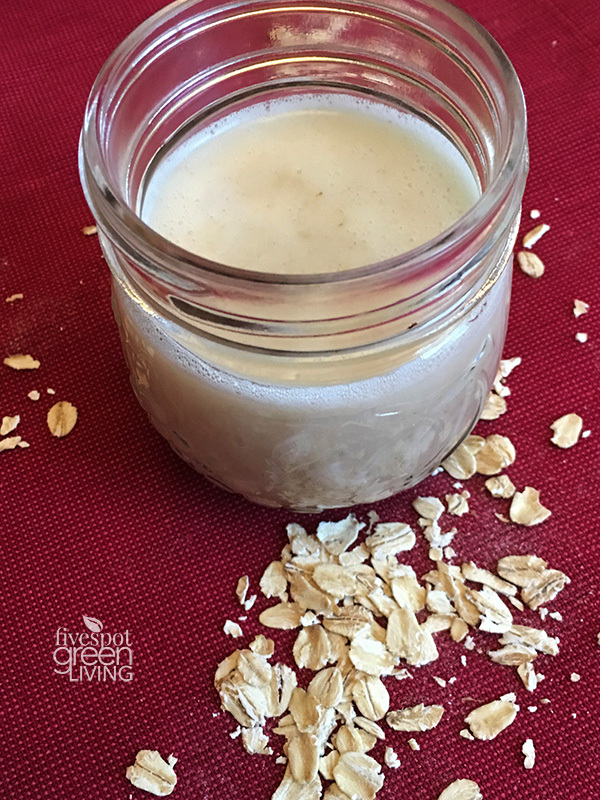 Organic oatmeal reduces inflammation and is thought to have an antihistamine effect. 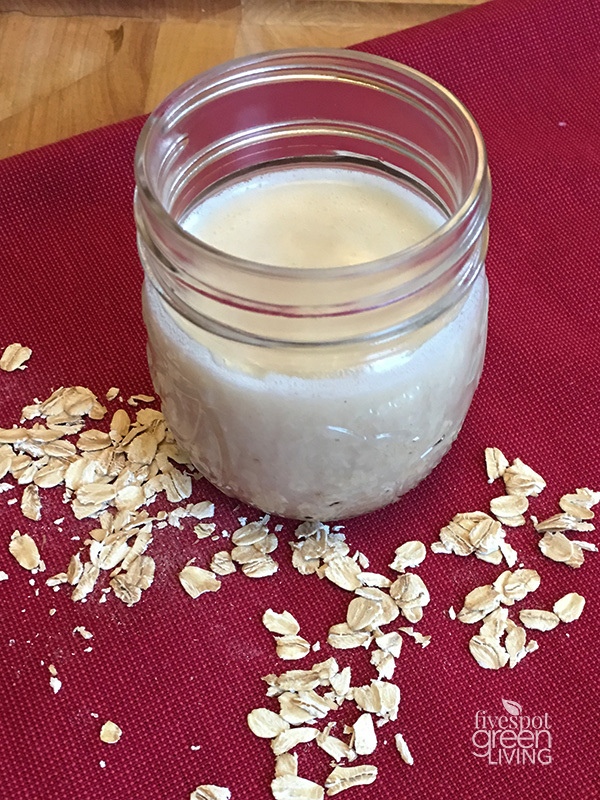 According to a 2012 study, colloidal oatmeal can protect skin and soothe the itching and irritation from eczema. 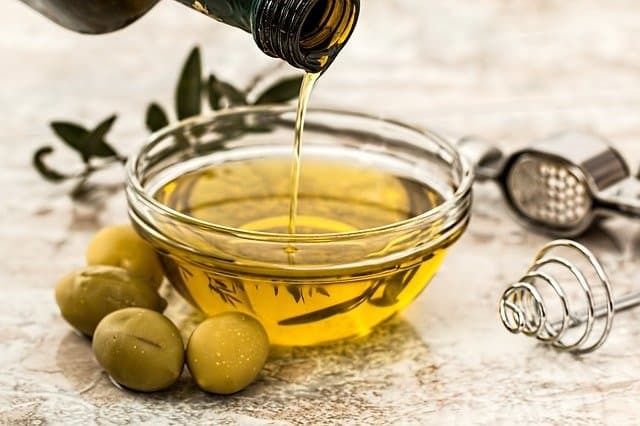 ​Olive oil will help soothe the inflamed skin by nourishing and moisturizing the skin without triggering any allergic reactions. 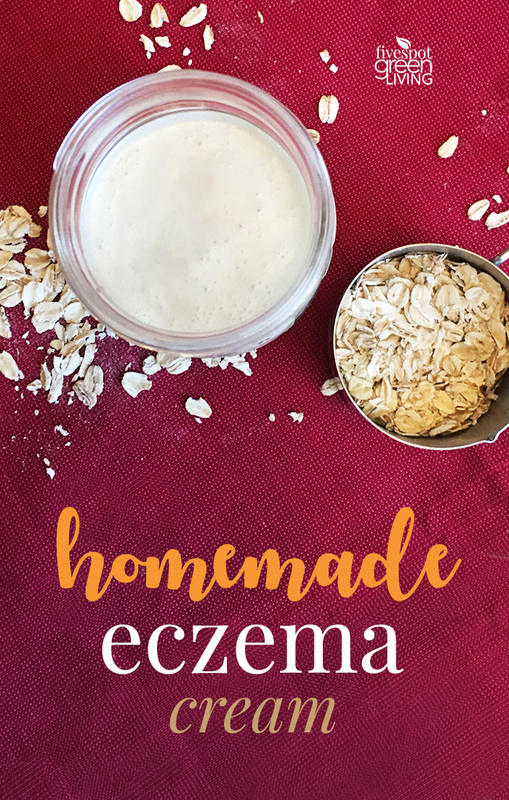 *Note – This recipe makes ONE 4oz jar of eczema cream. 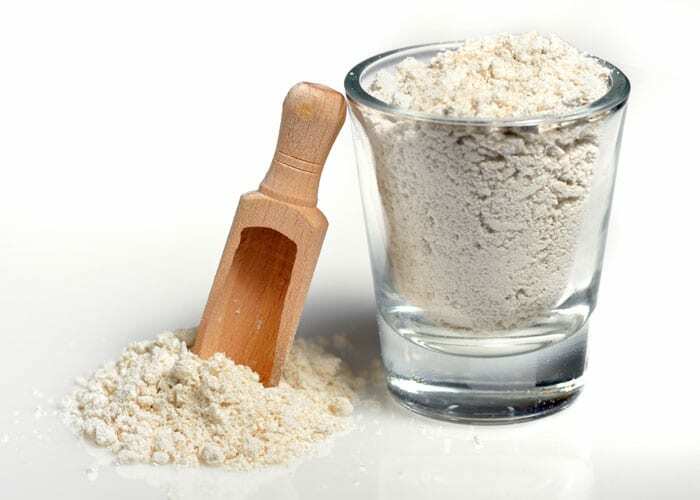 Finely grind the oats to a powder/flour consistency in a blender or food processor and set aside. 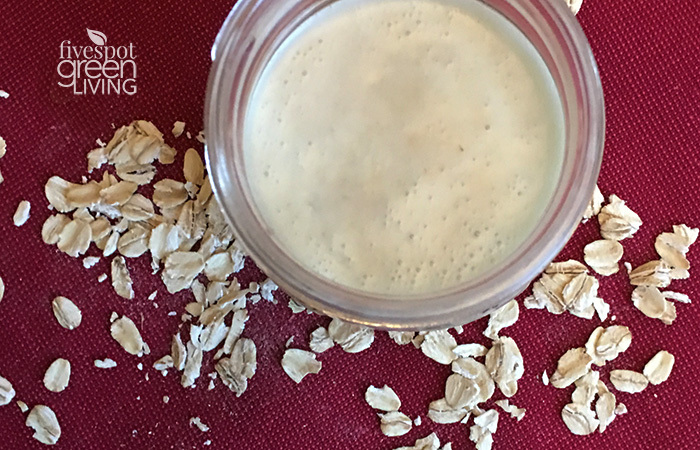 Add coconut oil to blender with the oats and let sit until the mixure is opaque and fairly cooled (not hot). Add the olive oil into the mixture and blend. Once all ingredients are mixed well, pour in to a small storage container. Let it harden for several hours. What other natural eczema treatments have you tried? What has worked for you? I think this is the most required post to deal with this dry winters specially for those with sensitive skin. My daughter had eczema really bad when she was little. I wish I had this recipe then! Looks very soothing! Could I use this recipe on a 6 month old baby? I don’t see why not. The standard dilution for newborn babies is 1 drop essential oil per tablespoon of carrier oil. 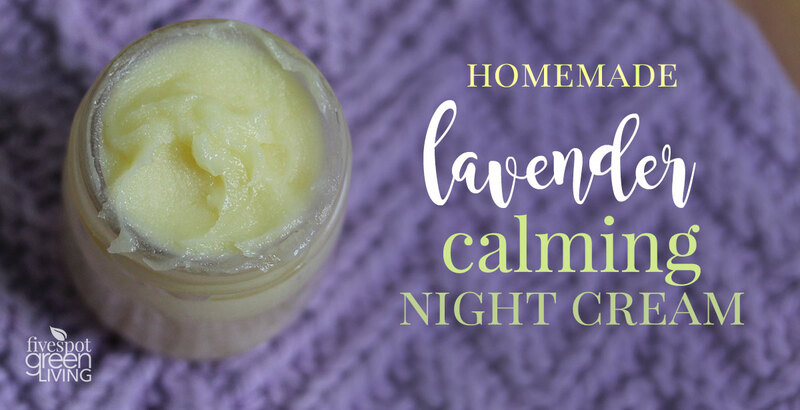 This recipe calls for 10 drops of lavender oil and there are 17 tablespoons of oil in total, between the coconut oil and olive oil. How can I storage the cream and what is the expiration date of it .